The SeeMate™ Stationary Monitor is designed with a 180-degree swivel base to allow for best operator viewing of the large 38-cm/15-inch high definition colour LCD video monitor. Purposefully sized for vessel bridge or other flat surface placement, this console-mounted monitor will provide valuable feed delivery and feeding information while the operator manages feed broadcaster and vessel controls. Monitor for best-feed delivery rates, feed positioning and fish feeding behavior using underwater cameras easily connected to the SeeMate™ Stationary Monitor System. This system is an ideal monitor platform from which to add our WireLess W.A.V.E.™ video control network. This combination works well when feeding circular type cages or submerged cages from a feed vessel. With no need for cumbersome direct camera cable connections, operator access to cameras is managed using a wireless interface and remote controller with video images displayed on the SeeMate™ C-15 Console Monitor. Powered from any 12-volt DC power source, the inline reset breaker protected power management system includes automatic low voltage shut-off to address operators who may forget to turn off the system. Along with WireLess W.AV.E.™ connectivity options, all SeeMate™ Stationary Monitors are offered with a removable sun visor; weatherproof camera plug receptacles for up to 2-camera operations; easy to see power LEDs; a large on/off switch; and a large camera selection knob for gloved-hand control. Eliminates full battery drain and premature end-of-life battery replacement by automatically turning off power to the video monitor and cameras at a best voltage level recharging point. Expand site versatility using wireless video interface and remote controller with access to 60 locations and 240 cameras. Green, yellow and red LEDs provide immediate visual status of battery power levels. 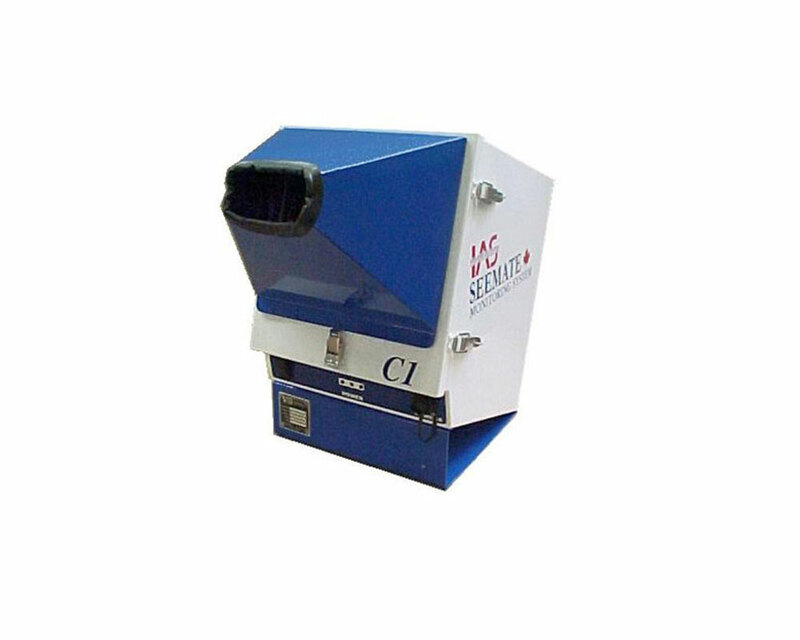 Allows for easy camera connection at the cage, or at the junction of 4 cages, for immediate monitoring of fish feed behavior, feed delivery rates, and feed pellet drop location. Enclosure profile and weight designed to provide easy operation in tight spaces. Reduce or eliminate the need for long hardwire camera cabling by placing a video camera monitor on site with the field operator. The large 15-inch colour LCD monitor screen fits within a sealed enclosure than may be easily turned for best view angle. Eliminates any infrastructure costs by moving a highly mobile camera and camera-monitoring platform anywhere on the farm site at a moments notice. Operator may chose to remove the latched sun visor from the face of the enclosure for wider monitor viewing when standing back from the monitor. Displays a large underwater camera image for easier feed viewing and decision making. Monitor and cameras protected with reset breakers to avoid use of tin foil – most often used as an immediate substitute for non-available inline fuses. Aluminum construction, powder paint coated. Lexan® front window face with removable sun visor shield. 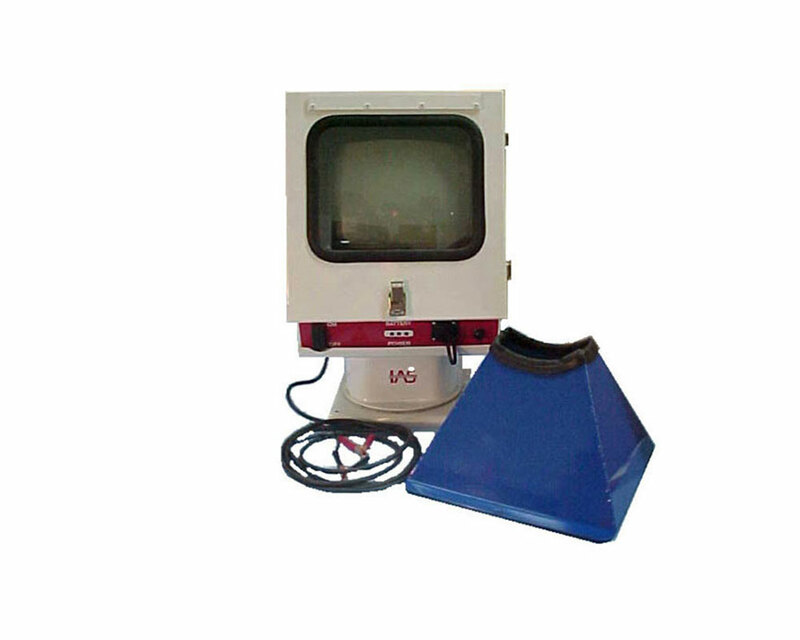 Fixed base plate positioning monitor face back 30-degrees from vertical for best screen viewing angle. Operates any model SeeMate™ B&W and Color Camera (not included). Access 1 to 2 cameras depending on model requested. Topp carry handle for maximum portability.